National Geographic Children's Books, 9781426305962, 128pp. 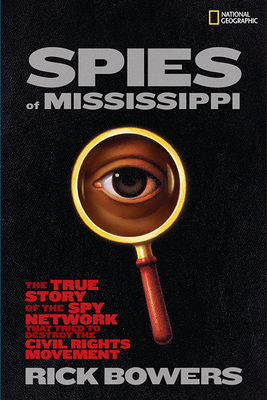 The Spies of Mississippi is a compelling story of how state spies tried to block voting rights for African Americans during the Civil Rights era. This book sheds new light on one of the most momentous periods in American history. The Spies of Mississippi will inspire readers with the stories of the brave citizens who overcame the forces of white supremacy to usher in a new era of hope and freedom—an age that has recently culminated in the election of Barack Obama. Rick Bowers is a journalist, songwriter, and head of creative projects for the AARP. He lives in Washington D.C.
Wade Henderson is the executive director of the Leadership Commission on Civil Rights.